NEW CLASS - THE WARDEN: Players will harness nature-based magic to master the powerful new character class - The Warden. The Warden is the first new class since launch of ESO and true to ESO and the Elder Scrolls franchise, the player will have the freedom to select from a number of abilities that enable a variety of play styles. The Warden also introduces a devastating new combat ally - the War Bear - a ferocious fighter will stay by the Warden's side through the most intense battles. AN INCREDIBLE ELDER SCROLLS STORY: Set roughly 700 years prior to the events of The Elder Scrolls III, The Elder Scrolls Online: Morrowind will take gamers on a sweeping adventure through the legendary Vvardenfell, featuring iconic locations, characters, and storylines that will instill nostalgia with longtime Elder Scrolls fans and extend ESO's narrative into a new chapter. 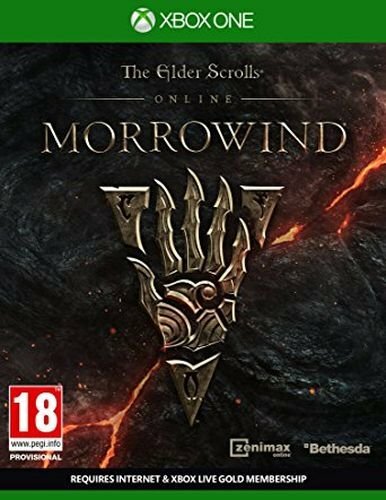 Morrowind is in dire peril and it's up to player heroes to help Vivec, the legendary warrior-poet and Guardian of Vvardenfell, solve the mystery of his mysterious illness, regain his strength - and save the world from ultimate destruction. NEW PvP MODE - BATTLEGROUNDS: The Elder Scrolls Online is renowned for open world PvP battles, pitting hundreds of players in a massive battle for supremacy in Cyrodiil. The Elder Scrolls Online: Morrowind will introduce a new PvP mode - Battlegrounds - intense 4v4v4 battles in arena-like environments. Players take the battle to the Ashlands to claim their place among the fiercest and most accomplished combat veterans in Tamriel.